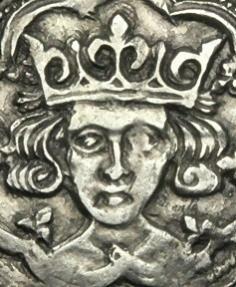 RICHARD III - Groat, ca.1483-5AD. mm Sun & Rose. London mint. 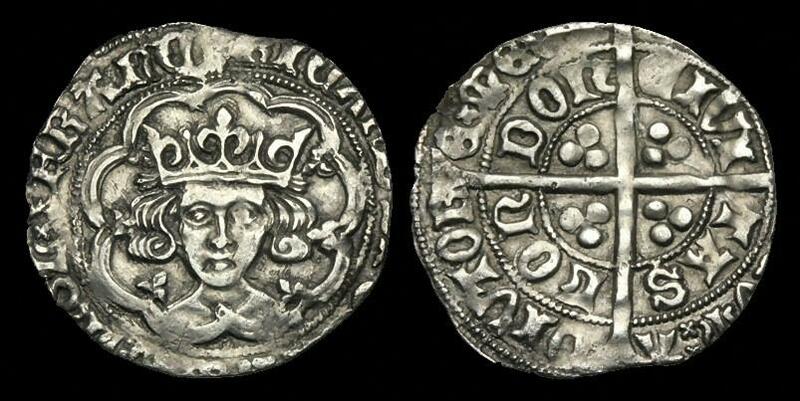 RICARD DI GRA ANGL' xSx FRANC, crowned facing bust in tressure of arches, pellet below bust / POSVI DEVM AVDITORE MEVM around CIVITAS LOnDOn, long cross pattée, trefoils in quadrants.